Its the new make up mishap epidemic. You may have seen some pretty ghastly photos recently of certain celebrities trying to emulate Casper the friendly ghost while out and about on the red carpet. I can confirm that they all have an unfortunate substance addiction, but its not what you think. The substance is just HD Powder. So what is HD powder? HD powder is extremely finely milled loose powder. It is very silky to the touch and undetectable once on the skin. It can't be seen by the eye, and in theory is translucent - making it super versitle as it will suit all skin tones. It mattifies, holds make up in place and is often used under the eye area to create a really smooth highlighted effect. Its ideal for HD filming, hence the name. Its pretty amazing stuff, but the problem lies when combined with flash photograpy. The powder is made from Silica, and Silica reflects light. If too much has been applied, the excess powder bounces light back into the camera and contributes to flashback - making the wearer appear to have dived head first into a bag of flour. 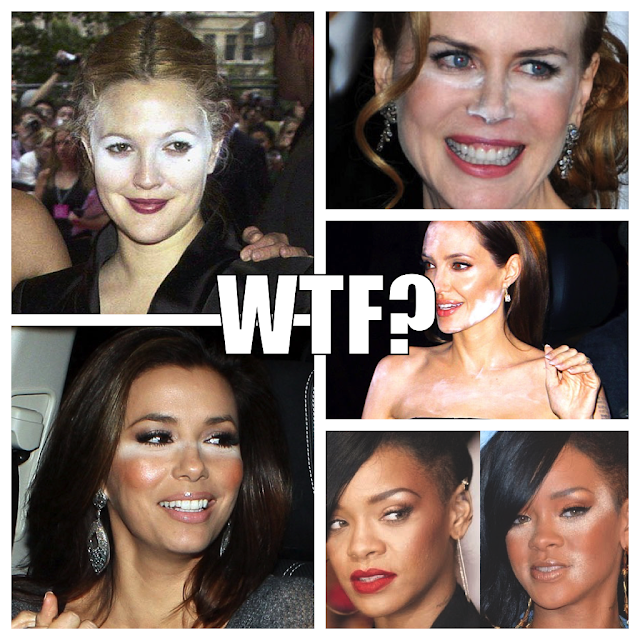 To avoid looking like these poor celebrities, and to feel confident around flash photography, you simply need to have a light hand when applying - this isn't a product that can be troweled on in layers and layers. Also, by using a large fluffy brush you can blend it in and buff off excess. The problem sometimes is that you can't exactly tell if too much has been applied just by looking at it, so take a couple of test shots with a flash first and you should be good to go! Wait, are these pictures for real!? I have HD powder but I rarely wear it, will definitely proceed with caution whenever I do whip it out! I think these photos are not real. I have long been using this powder but I have never had such.